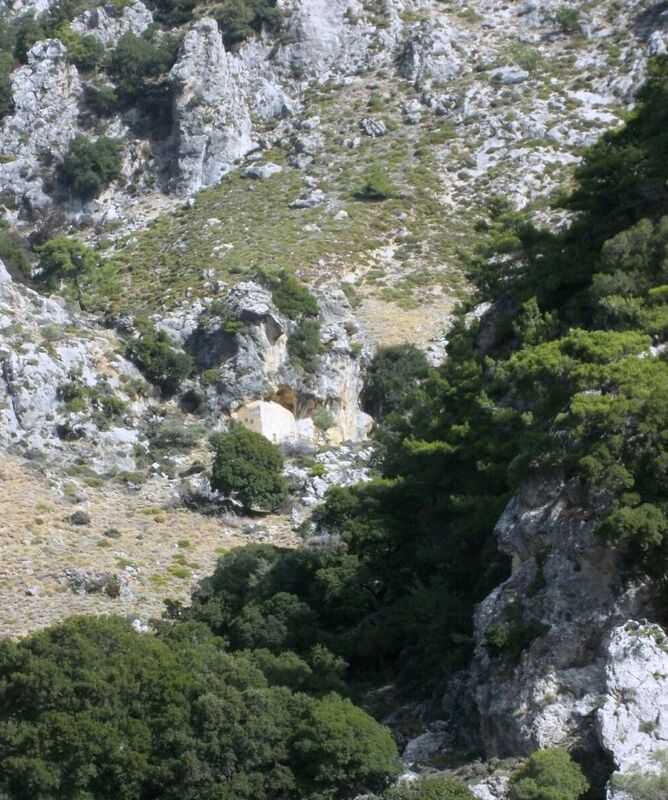 The challenging hike starts in the village of Platania in the Amari valley. 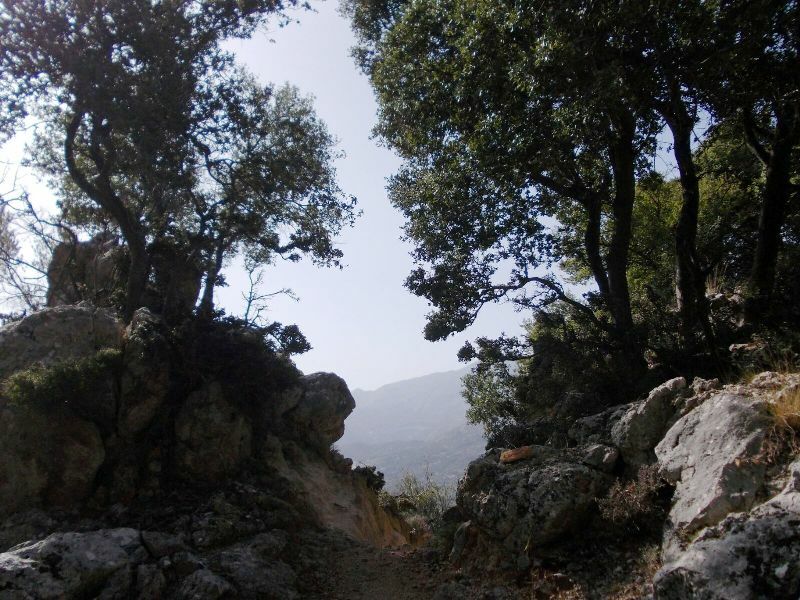 We walk up between gnarled, old olive trees and soon we see, from our path dove, the steep cliff walls of the stunning Platania gorge. Around us are wild rocky formations in which goose vultures build their nests. Sometimes we are very close to these majestic birds and are allowed to experience how they start and land from their rocky caves. 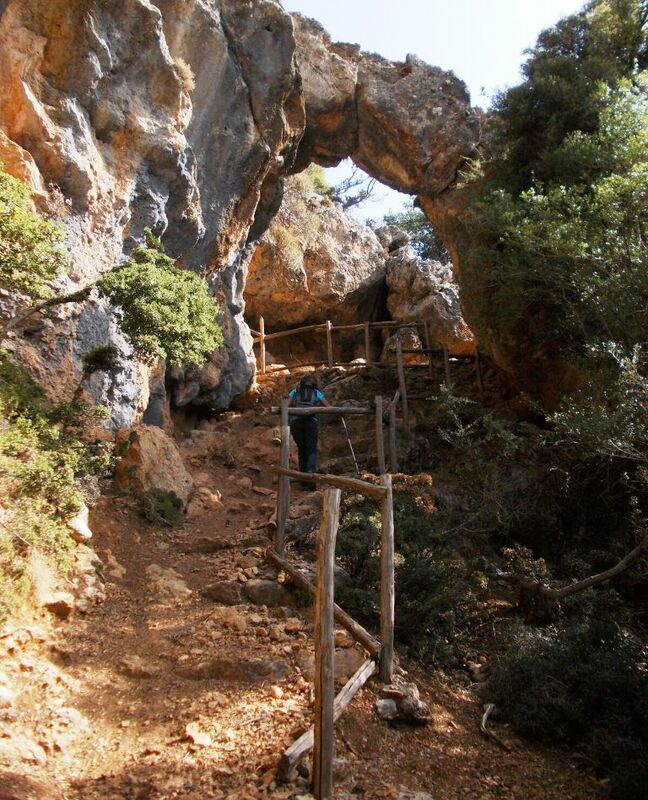 The path leads us to a 250-year-old cave church and further over and through amazing valleys. Always in the shadow of the Stolistra which ensures even in hot weather a pleasant climate. High above the village Vistagi we finally arrive at the end of the gorge. This wonderful trip will finish in a nice restaurant in the village Vizari. Medium to difficult hike of approx. 5 hours duration (with trip and rest 8 - 9 hours). children: Suitable for teenager over 15 years. Please think for drinking water, food and a shading head cover! transfer organization with a small bus; maximum group size 15 persons. The goose vulture belongs zoologically to the family of the Old World (Aegypiinae). The head and neck are feathered with pale brownish to creamy dunes. The yellowish-fluffy neck collar, which is the same in males and females, is striking and characteristic for this birds. They have a body length of 1 m with a wing span of up to 2.80 m. The alsmost rectangular wings are almost feathery at the end. Goose vultures can reach an age of 35 - 40 years. Their food consists of large animal carcasses (sheeps, goats). They usually nest in suitable places in ravines or on steep rock faces. During the nesting season (February and March) they usually have only 1 egg. Almost the half of today's goose-vulture population of Greece lives on Crete. Most colonies consist of 11 to 15 single birds. The largest colonies are on the Kofinas (Asterousia), on the Selakano plateau and in the Kourtaliotiko gorge. Directive on the elimination of animal cadavers (on Crete).